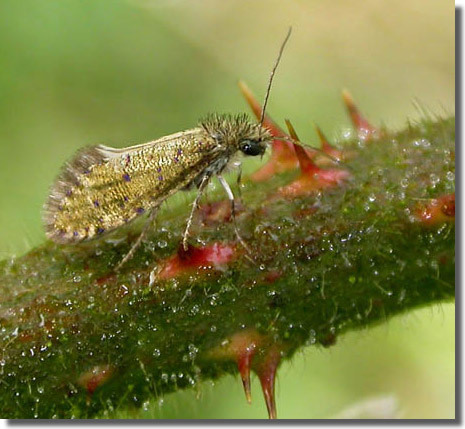 Notes: Common in oak woodland throughout the British Isles, excluding northern Scotland. Well distributed and fairly common, sometimes abundant, in Hampshire and on the Isle of Wight, wherever there are oak trees. 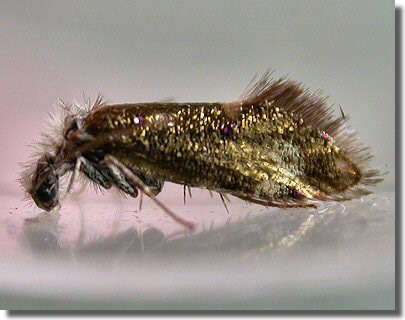 Wingspan 9-14 mm; a diurnal species which is also attracted to light, in dull weather it rests on the trunks and branches of oak trees. 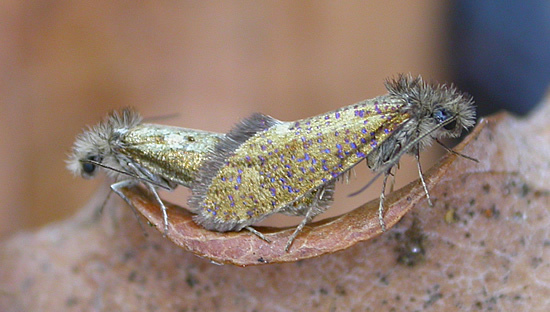 The metallic gold forewing is speckled with minute purple or blue spots. 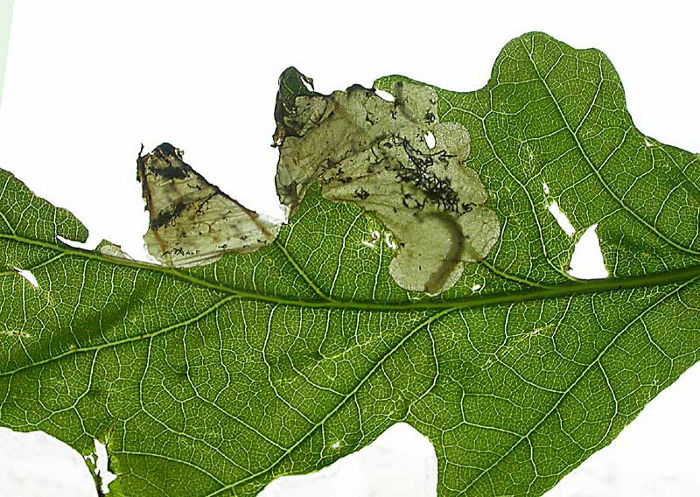 Larva mines leaves of Oak, over-wintering as a pupa.